Whether one is a long-term or short-term traveler, the all important question for any traveler is, “Where do I go to get my clothes cleaned?” After two years of traveling full-time, we felt like we were experts at this question until our recent trip to Iceland. While in Reykjavik we had rented a nice home in a great location near downtown. The only wrinkle; it did not have a washing machine. No problem, we thought, there is sure to be a self-service laundry close-by. 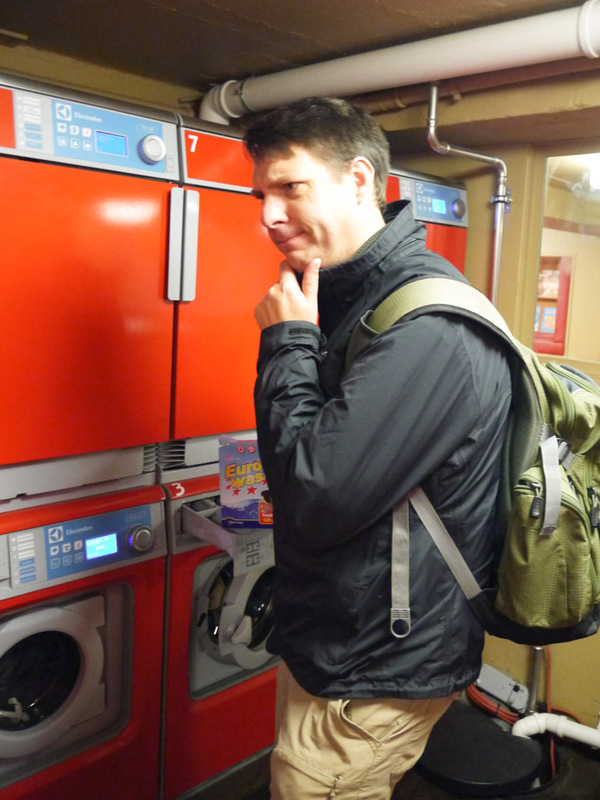 But much to our dismay, our research indicated that there are no self-service laundromats in Reykjavik. Glumly, we faced the prospect of paying a small fortune to have someone else do our laundry, or wash clothes by hand in the sink. I know some travelers swear that a sink is perfectly fine for washing clothes. As for me, I detest doing laundry by hand. I think doing all our laundry by hand for a month while in Paris has permanently ruined me. Maybe I am missing something in my technique of washing clothes by hand, but I never seem to be able to wring out enough water from the clothing and it takes FOREVER to dry, especially in a cold damp climate like Iceland. 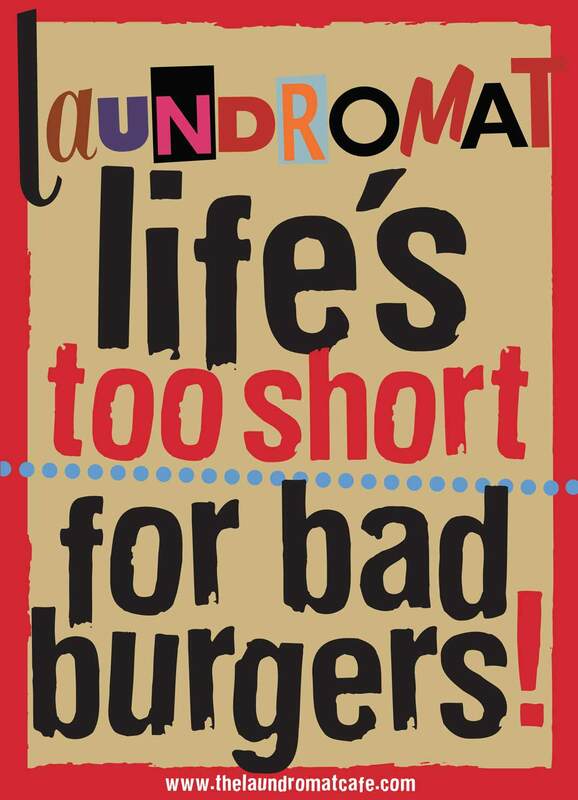 Personally, I avoid washing clothes in the sink at all costs. After mulling over our bleak options, we turned to the homeowner who we had rented the house from. Happily the homeowner was able to point us to the one and only self-service laundry in Reykjavik: aptly named the Laundromat Cafe. We stuffed our bag with dirty laundry and were off. The Laundromat Cafe is located at Austurstræti 9 in downtown Reykjavik and has got to be one of the nicest places I have ever done laundry at. Seriously! 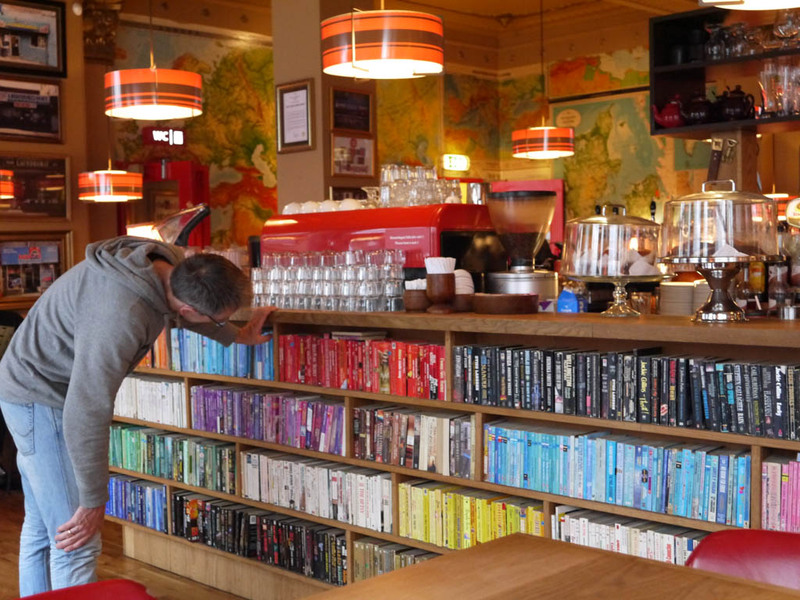 When we walked in we were greeted by a cafe with a cozy, but funky, vibe. The walls are lined with funny posters and books. 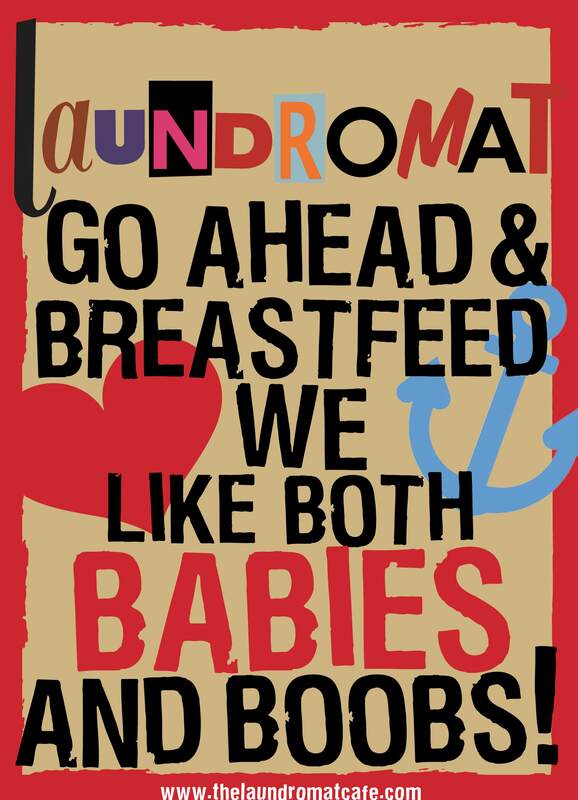 Besides being able to do laundry there, the Laundromat Cafe offers food, drinks including beer and wine, books, games, free wifi, and a great play area for kids with lots of toys and space to stretch out. 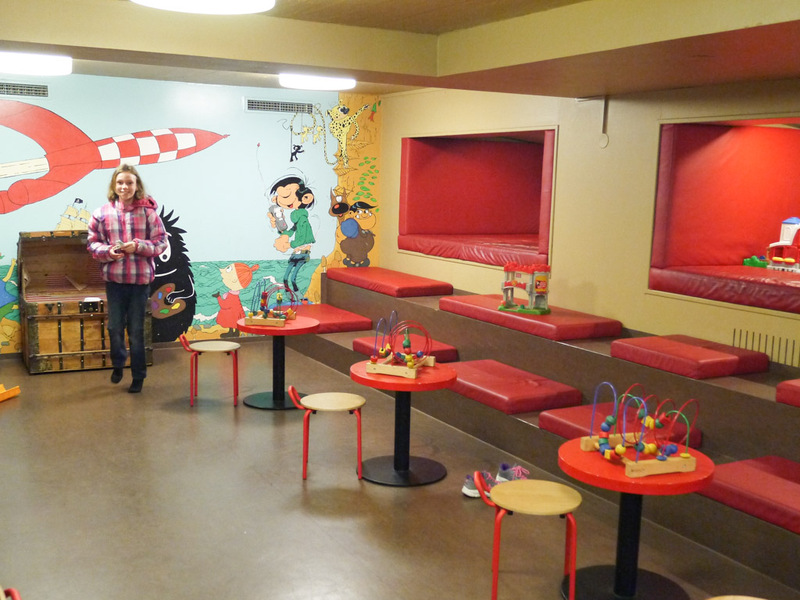 The washer, dryers and kid play area are located in the basement. The washing area is clean and the machines are modern. Shockingly the dryers actually dry clothes in one cycle. The only down side is it is expensive to do laundry here costing 750 ISK (approximately 6 USD) for either the washer or dryer. Doing laundry at the Laundromat Cafe is probably the best time we have ever had at a self service laundry. 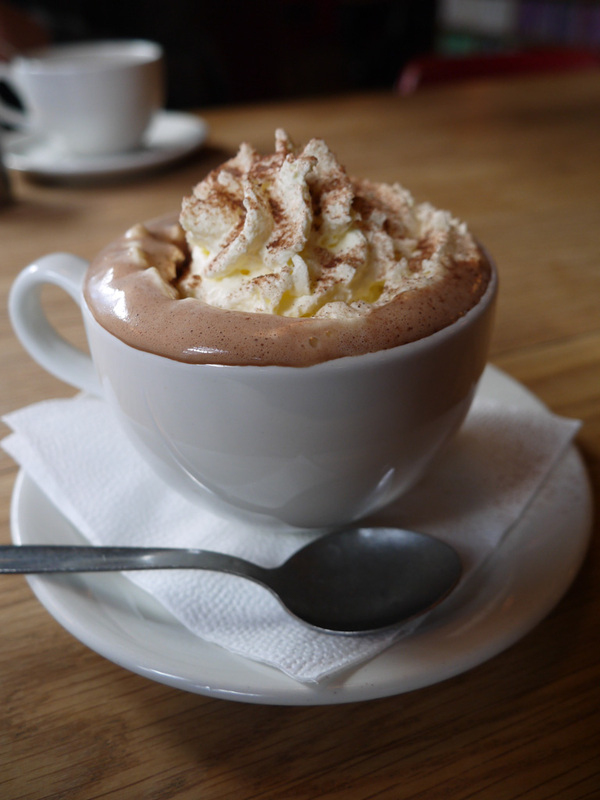 While there we enjoyed sipping delicious coffee and playing games. Sydney was also excited that she found Schleich horses (her favorite toys) buried in their pile of toys to play with. Food, drinks and games, what more could you ask for in doing a task that is never really much fun. So many choices. Now what to order? So when you visit Iceland and are looking for a place to chill out while doing laundry, I highly advise doing your laundry at the Laundromat Cafe. 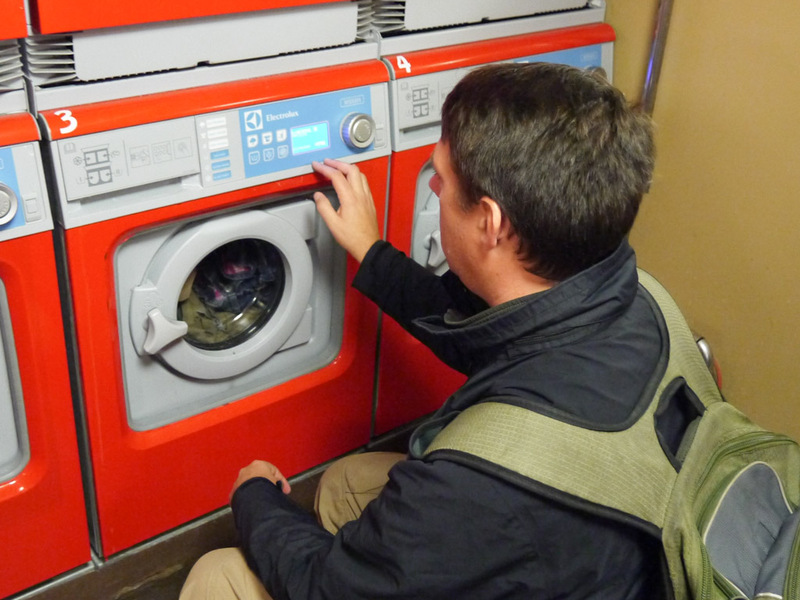 In fact, it’s the ONLY self service laundry in Iceland, so your options are to wash them there, wash them in the sink, or wear dirty clothes. 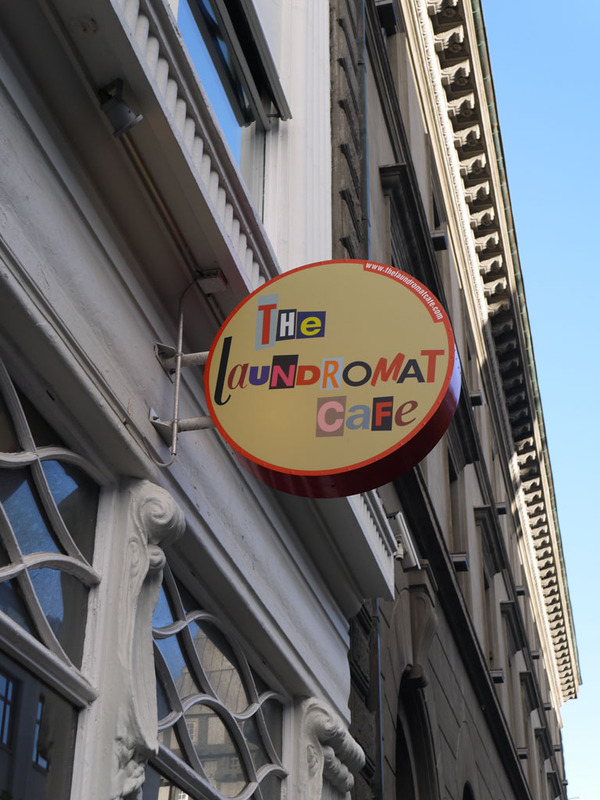 Also in case your travels take to you Copenhagen, Denmark or Osaka, Japan, you can find the Laundromat Cafe there too. Hope this helps! We have traveled the world non-stop for a little over two years visiting 26 different countries and countless cities. In all that time we have only seen pickpockets at work in one city, Rome, Italy. Pickpockets can be found all over the world, but Rome has got to be the world’s capital for pickpockets. You safely booked your Rome accommodation through Venere and now you are wondering how to keep your wallet safe? Here are some tips that will help keep you safe from pickpockets in Rome and elsewhere. 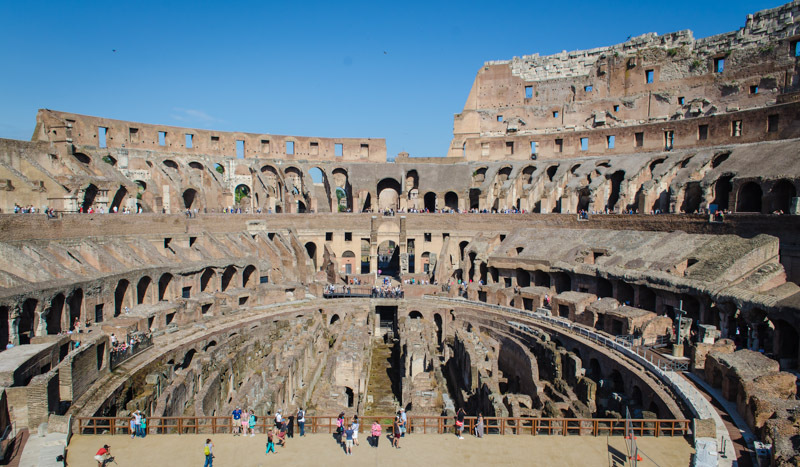 We have all heard that pickpockets can be found on the subways, but here was one we personally witnessed in Rome that left many people missing items. After a full day of exploring Rome we hopped on the Metro to head back to our hotel. Once on the Metro it became packed and I ended up standing near the side of the door. At one of the stops I witnessed a group of 3 girls, about 16 years old, start pushing the people waiting on the platform onto the train. If you have ever ridden a packed subway, this is actually kind of normal. But what was different about this was that they were reaching into everyone’s pockets and bags and grabbing whatever they could, and then stepped off the train just before the doors closed. They were a pickpocket gang! As the train started rolling everyone was checking their stuff to see what was stolen. At the next stop, the exact same thing happened again with 3 different girls. When you are boarding a subway train you are worried about being caught in the doors or getting separated from your friends and family. With all of the pushing going on you are completely unaware of people reaching into your pockets and bags. The easiest way to protect your belongings is to wait for the next train, which will often be less crowded. But if you must board a packed train, have nothing in your back pockets and nothing in loose front pockets that could easily be reached into. Before the train arrives, take your backpack off, if you have one, and hold onto it in front of you, or wear it backwards. If you have a purse or other bag, make sure it is zippered shut or secured in a way that makes it harder for someone to reach in and grab whatever may be inside and keep it in front of you and off your back. Another common trick for pickpockets is the staged fight or staged commotion. You will be walking along when a fight breaks out between two people. Our curious nature says to stay and watch, but for safety reasons, keep moving! If you stop and watch, they will run into you and someone behind will grab your wallet, mobile phone, or whatever else might be in your pockets. Best to keep moving! Tourists have a look about them: the brand new quick-dry clothing that makes them look they are on a safari, the camera hanging around the neck, and most likely a wallet full of cash. Thieves target tourists and the best way to not be a target is to not look like a tourist. Avoid the “tourist uniform” and stick to your normal street clothes. Don’t flash a lot of cash around. Keep your camera in a bag that does not look like a camera bag, and only take it out when you want to take a shot. And please, don’t wear a fanny pack or belly bag. A lot of people use money pouches to keep their money and passports safe. We started with one, but soon abandoned it. They do work, but if you need to get your money they can be a real hassle trying to access it. If you don’t mind them, use one. Leave your regular wallet at home and use a thin travel wallet that only contains a couple of credit/debit cards, ID, and a small amount of cash. I use a cheap nylon wallet that I place in my front pocket or in a side zippered pocket. Never place a wallet in your back pocket, even if it has a button or zipper. Place small combination padlocks on your backpacks when traveling and walking around. This will make it much harder for someone to access your bags. Instead of a padlock, you can also use small zip ties to secure your bags. We hope that you find our tips helpful and that you stay safe while traveling. If you would like to share your own tips for avoiding pickpockets and thieves, we would love to hear them. “Slava Ukraini!” (glory to Ukraine!”), growled the bearded guard while pointing a machine gun at us. 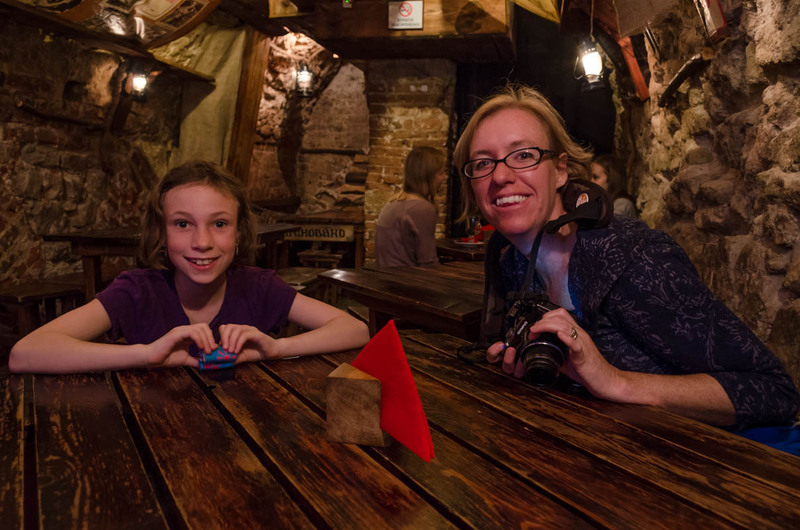 The employees at the tourism office in L’viv, Ukraine had recommended a restaurant across the street called Kryjivka (the bunker.) They said we would find it… interesting. Since it was lunchtime we figured we would head over and check it out. The first problem was locating it. There is no sign for the restaurant, but the tourism gave us an address and told us to knock on the door. That was all they told us! The tourism office is located in the center of Rynok Square and the address we were looking for was a short walk to the edge of the square. 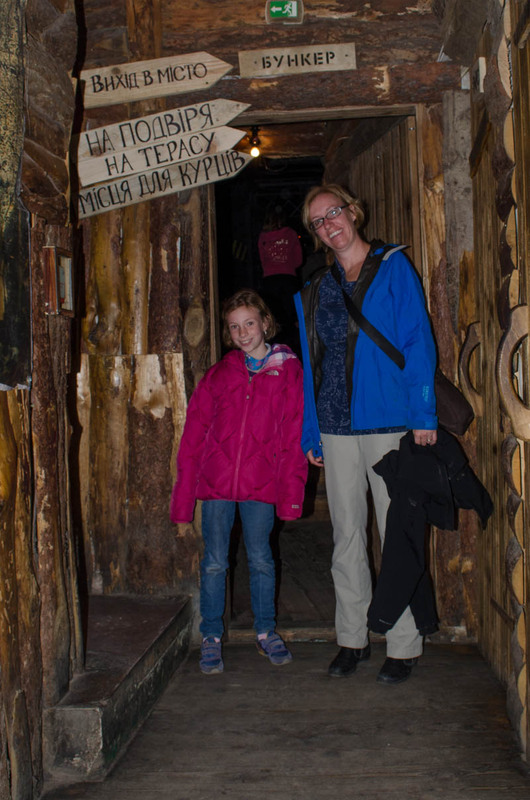 We walked down a passageway, typical for the buildings in L’viv, and found an unmarked door at the end. I knocked on the door, as instructed, and a peephole panel slid open. “We are looking for the café. Is this it?” I asked the person peering though the peephole in the door. My wife, not in the mood to be shot, stated, “Sorry, wrong door.” And quickly dragged our daughter back down the passageway and away from the armed guard. “Moskal’ee YE?” (“Are there any Russians among you?”), asked the guard while looking suspiciously at my wife and daughter running away. The guards face turned from a scowl to a huge smile, and he put his arm around me and ushered me into the small room. I called back to my wife and daughter to come back. After the wife and daughter suspiciously entered the room, the guard closed the door and poured me a shot of vodka and handed it to me. I drank the sweet flavored vodka and the guard smiled and opened a hidden panel behind a bookcase that led to a stairwell leading down. Even if this was not the restaurant we were looking for, this would be an interesting adventure! 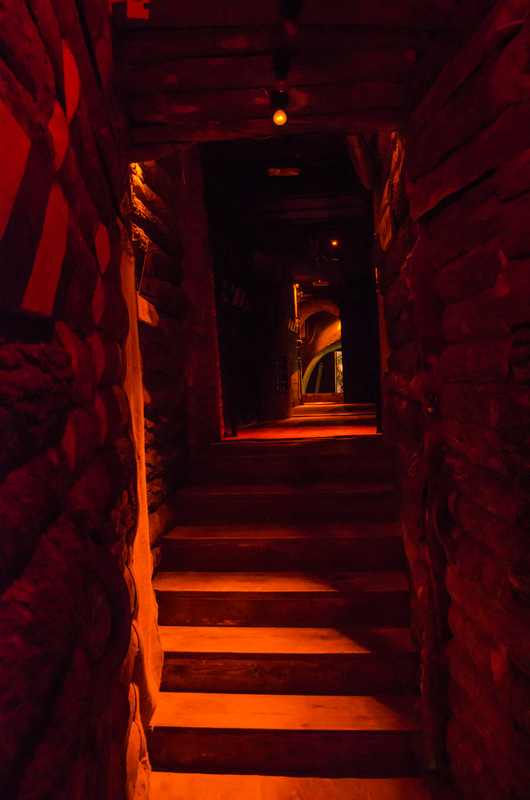 The stairs led down to an underground bucker filled with weapons, war memorabilia, and a well stocked bar. We had found our restaurant! We wandered around a bit looking for a table and around every corner there was something new to explore. 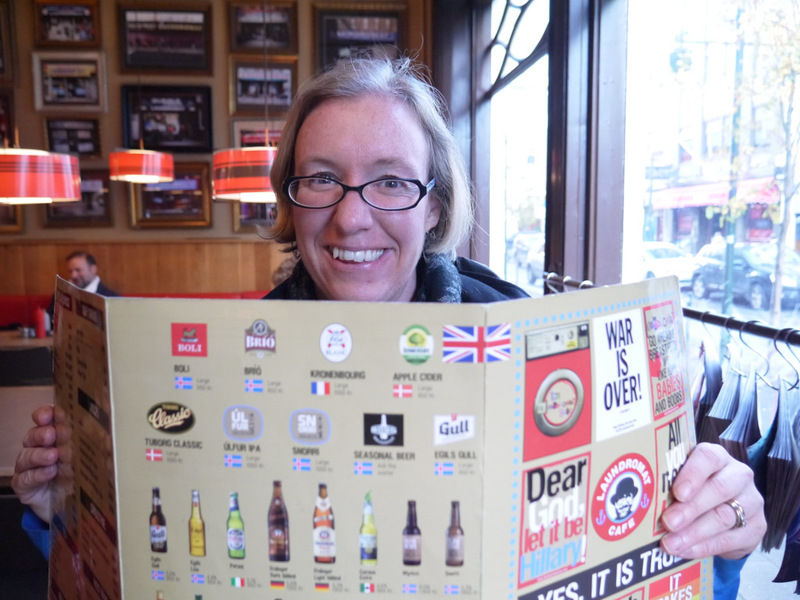 We grabbed a table and the waitress brought us menus. 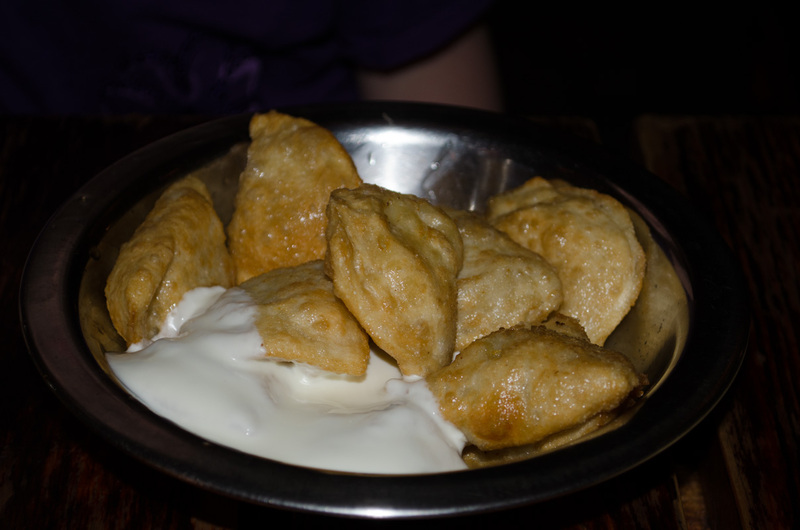 We ordered a cheese plate, pierogies, and a potato with cheese and sausage skillet. 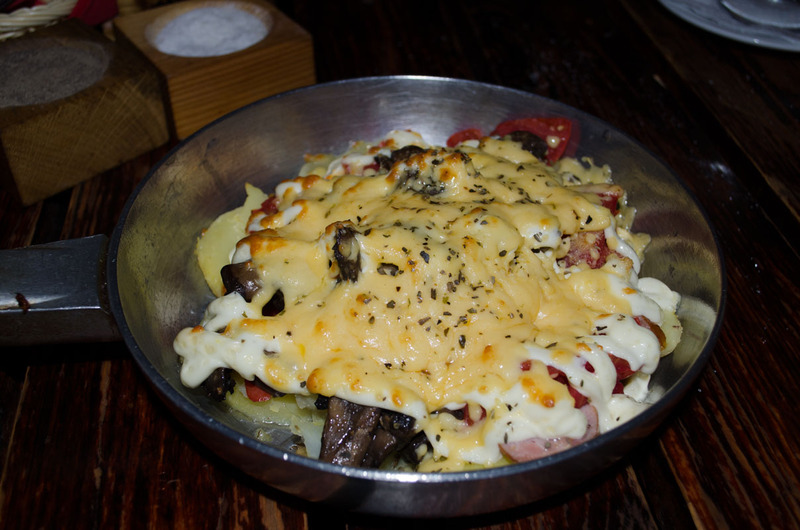 The food was simple, but the atmosphere was amazing. 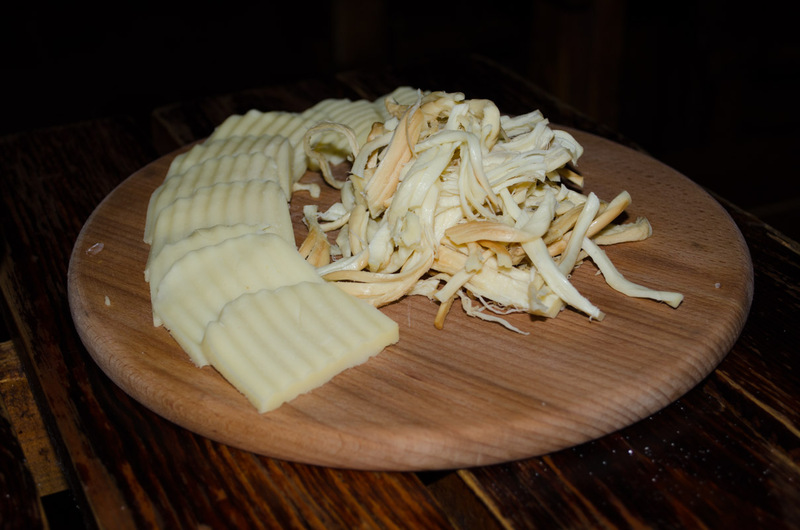 During our meal some guerillas came in and fired off a pistol inside the restaurant that left our ears ringing. They went to a table and dragged away one of the customers. He eventually came back unscathed and finished his lunch. After our meal we wandered around some more and were surprised at how big the place was. 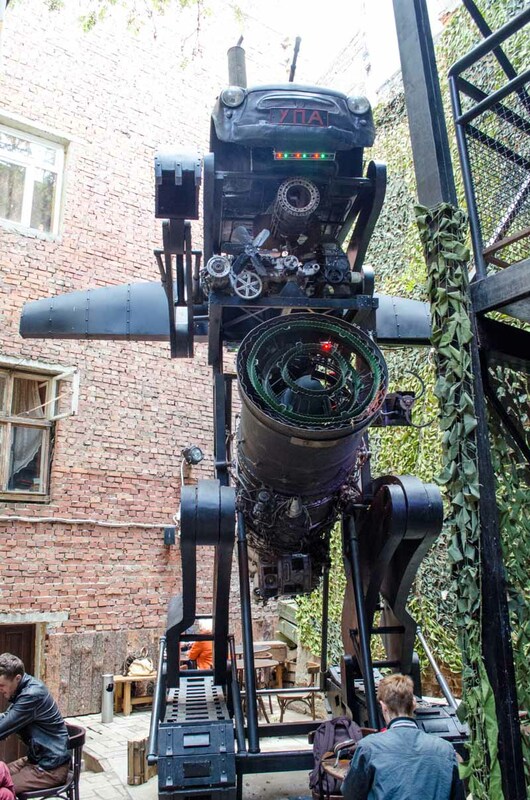 We found some stairs heading up and came to an open-air bar in a courtyard with lots of military surplus and a giant art sculpture. 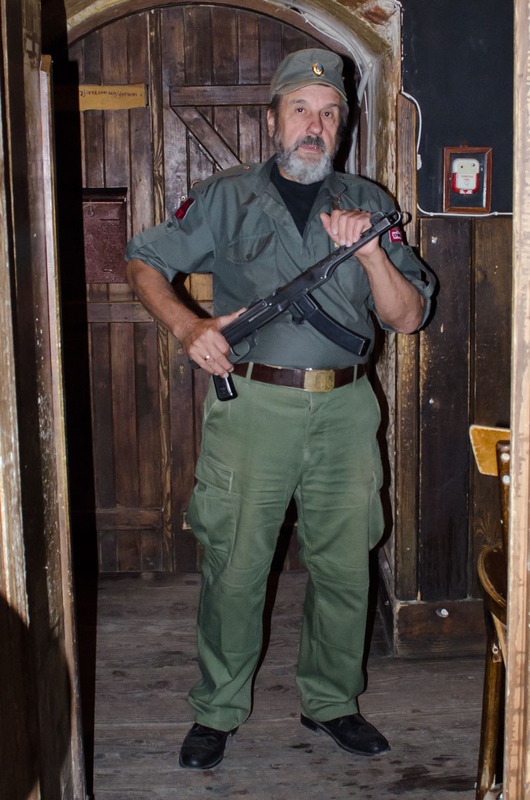 After walking past the bar we came across the guard with the fake machine gun and then made our way out. 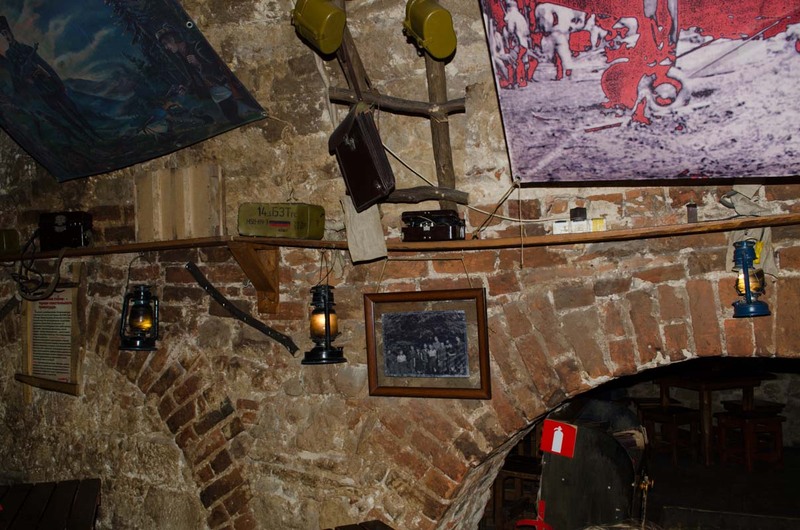 The restaurant, Kryjivka, was formerly a bunker for guerilla insurgents during World War II fighting against the Nazis, and later the Poles and Soviets. 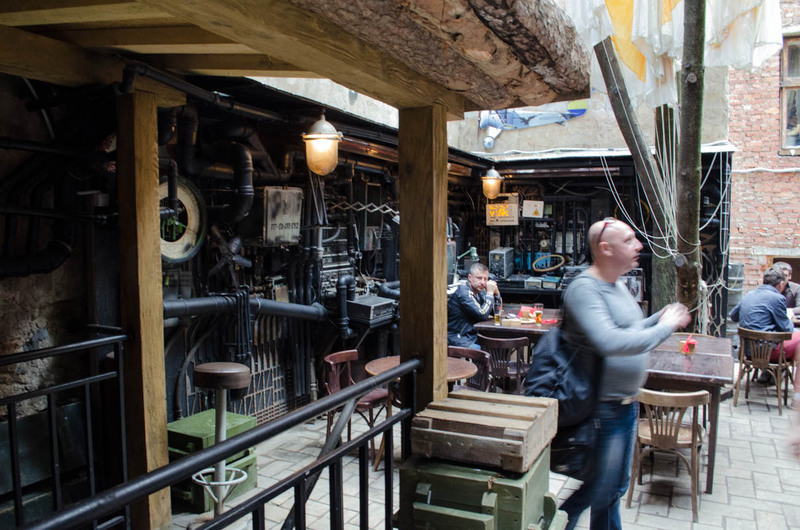 It is located at 14 Rynok Square and is a must-see if you visit L’viv. 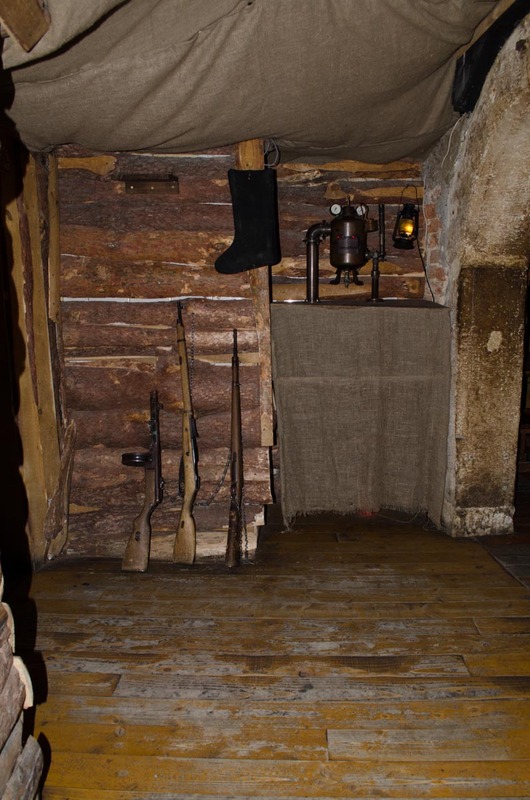 And in case you do visit, the password to tell the guard to get into the restaurant is “Geroyam slava!” (“Glory to its heroes!”) or “Slava Ukraini!” (glory to Ukraine!”). The restaurant and bar is open 24/7 and is a great place to grab a bite to eat or a drink while checking out all of the cool stuff that they have on display. “Are you crazy? 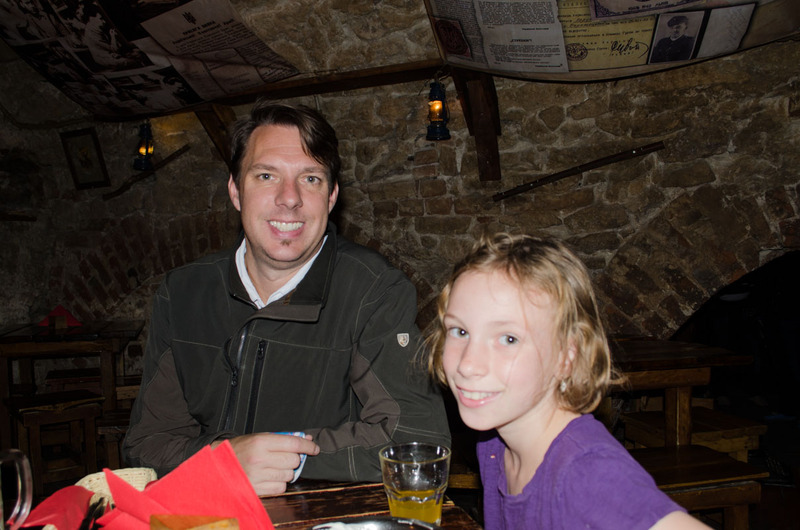 Why in the world should we visit Berlin?” Kerri voiced during our discussion on where to go in Germany. 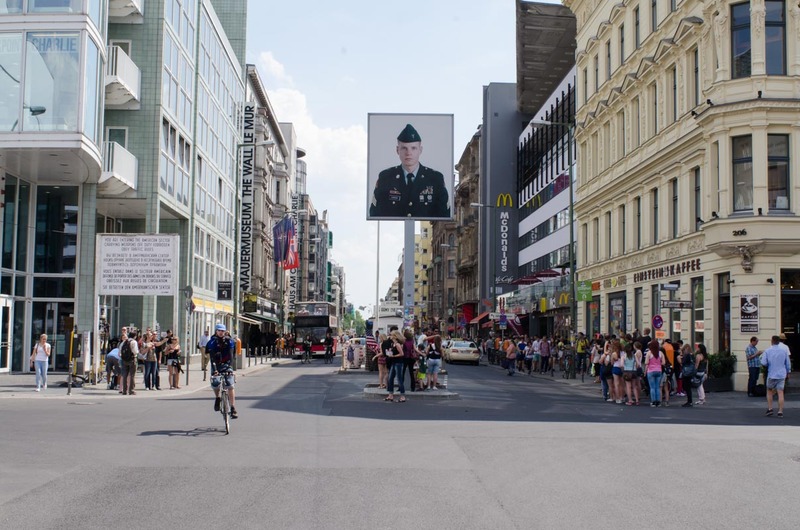 “Because that’s where Checkpoint Charlie and the Berlin Wall is.” Came my reply. 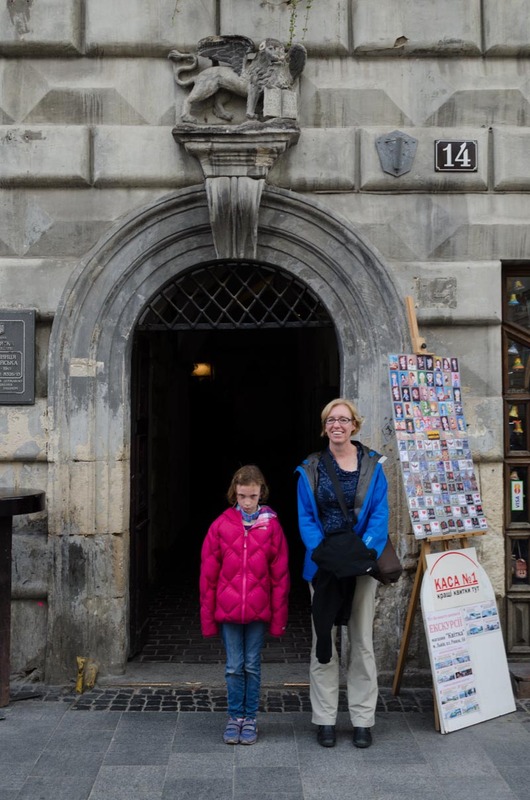 We had been warned by one of Kerri’s friends who had spent time in Berlin that we wouldn’t like it there and we should visit other places in Germany, like Munich. Anyplace but Berlin! We only had time for one stop in Germany and we had to make it count. When most people think of Germany, images of fantasy castles, cruises along the Rhine River, or drinking lots of beer at Oktoberfest come to mind. But for me, the heart of the German experience should come from its capital city, Berlin. 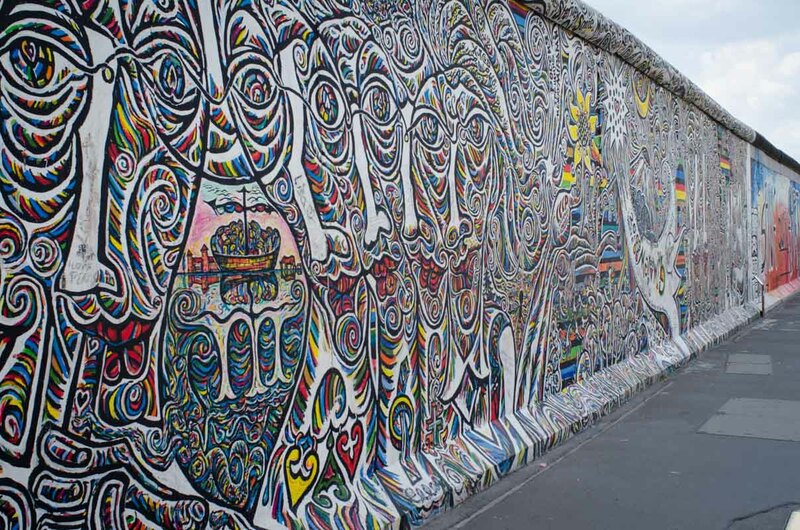 Besides having plenty of national museums, Berlin has an interesting history and was center stage for many conflicts during the 20th century, including the Cold War. 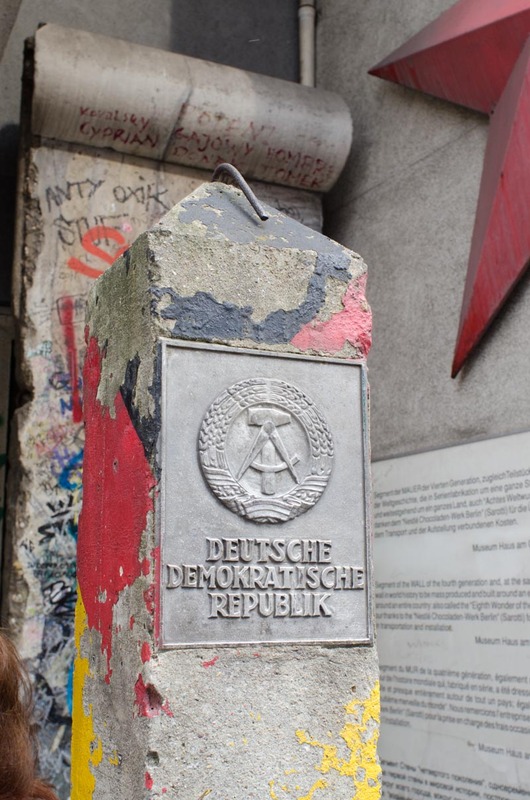 During the Cold War Berlin was deep in the heart of Communist East Germany, known as the German Democratic Republic. 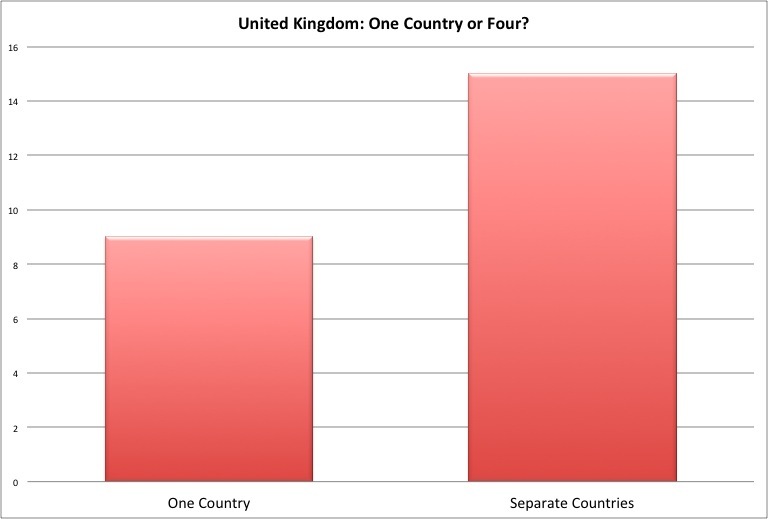 The city was divided in two with one side being Communist, and the other belonging to West Germany. 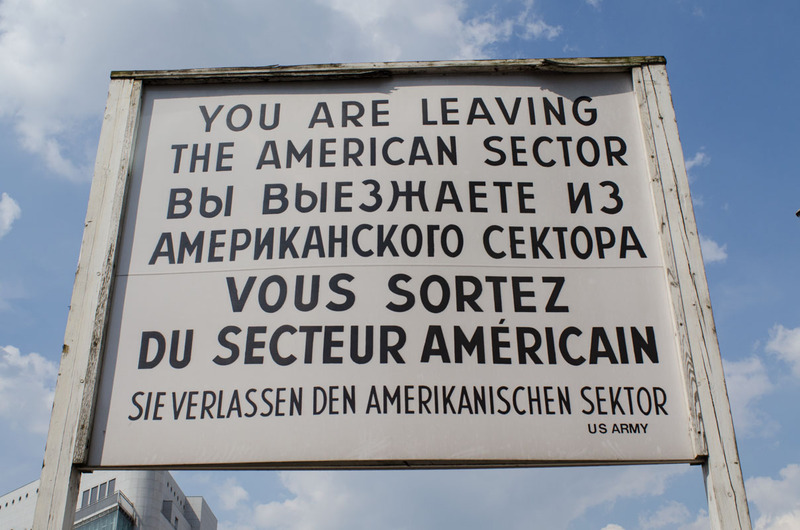 While not many remnants of Nazi Germany exist today, there are still plenty of places to visit from the Cold War and when the city was separated. This is what I wanted to see! As much as we should have booked a room at Accor, or one of the other fine hotels in Berlin, we ended up renting an apartment for a few days. Having an apartment with a kitchen sounded ideal, but the apartment was anything but. After arriving at the Berlin train station we made our way to the apartment. The upstairs neighbor (a friend of the owner) met us at the door with a cup of tea in one hand and a cigarette in the other. With his heavily accented English and mannerisms I immediately had a flashback to the Saturday Night Live comedy skit Sprockets. We had found Dieter! The apartment’s owner was a Russian artist, whose works of art hung on the walls. While I normally enjoy modern art, this work was… interesting. Thick globs of paint were applied to large canvases with no rhyme or reason. The artwork we could live with, but the strong smell of cigarette smoke, the cluttered apartment, and the dirty blankets and lack of sheets on the bed made us cringe. In Berlin, you get what you pay for! My mom would tell me stories of practicing ‘Duck and Cover’ drills in school during the 1950’s. Duck and cover is where the students would hide under their desks in the event of a nuclear attack. By the time I entered school in the 1970’s ‘Duck and Cover’ was no longer practiced. My assumption is that after extensive nuclear testing and improvements to nuclear weapons for greater impact they finally figured out that hiding under a small school desk was pointless and was not going to save anyone. Instead, we just knew where all the fallout shelters were around town. I grew up towards the end of the Cold War in a town that is known for developing the atomic bomb: Los Alamos, New Mexico. During the Cold War, I remember feeling like there was the real possibility of nuclear war occurring and I remember running scenarios through my head of what I would do if it did happen. During the Cold War, all residents of Los Alamos were assigned to a fallout shelter in the event of a nuclear attack. Each family was issued a card that indicated which fallout shelter to go to and how many spaces were reserved for that family. I am the youngest of 3 siblings in my family. When my parents and my 2 older sisters first arrived to Los Alamos in 1969 they were assigned to a fallout shelter, but I was born after they arrived in Los Alamos. I remember the day that I learned I had not been added to the fallout shelter card. We were sitting down to eat dinner when the subject was brought up and I remember feeling horrified that everyone else in the family had a spot in the fallout shelter, but I did not. I kept on thinking that I would be left behind to “survive” on my own. My parents patiently tried sooth me by explaining that in reality nuclear war would probably never happen and if it did happen there would not be enough time to make it to the fallout shelter. Despite these reassurances it did little to help sooth me at the time. Thankfully this never became a reality. By the time the 1980’s came around, the Russians and Americans had built so many nuclear weapons that everyone knew if the day came, nobody would survive a nuclear strike. My friends and I would run through scenarios and play the game, “What would you do if they launched nukes and we only had 15 minutes to live.” Growing up with that kind of constant tension was a little unnerving. While we played scenario games, Berlin was playing Spy vs. Spy and was where the real action in the Cold War was happening. The western media constantly covered the stories of the daring escapes of people from East Berlin to West Berlin. Even in James Bond and other espionage movies, Berlin was often the setting. 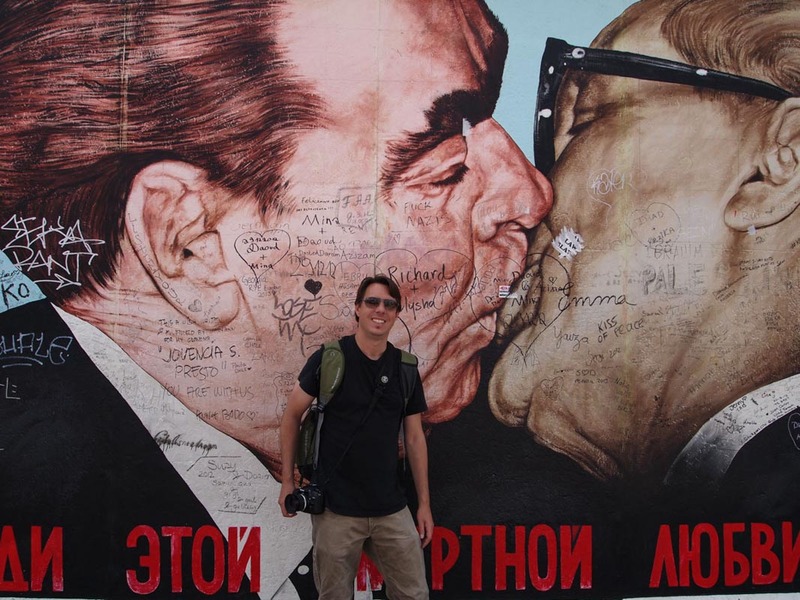 While growing up I dreamt of someday visiting there and seeing the Berlin Wall and Checkpoint Charlie in person. And then the unexpected happened. On November 9, 1989 the Berlin Wall fell and within the following year Germany was reunified as a single country once more. 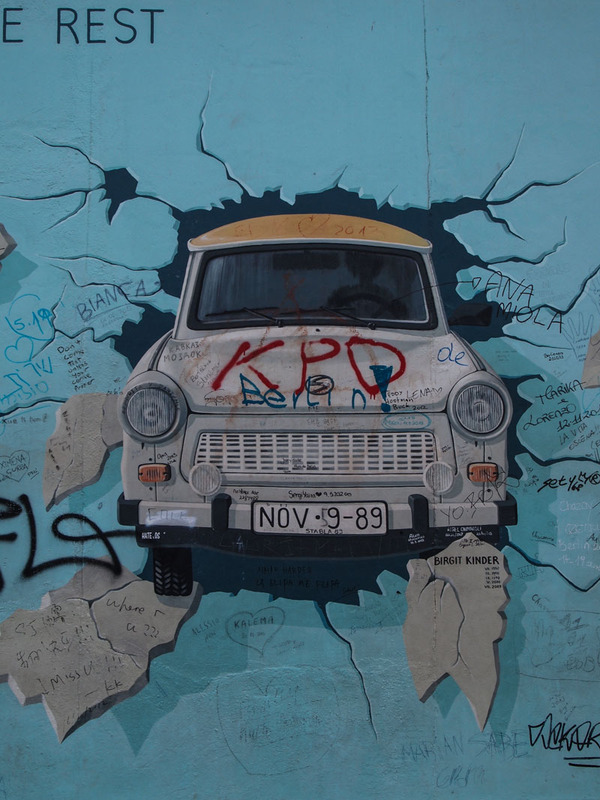 This year marks the 25th anniversary of the fall of the Berlin Wall. 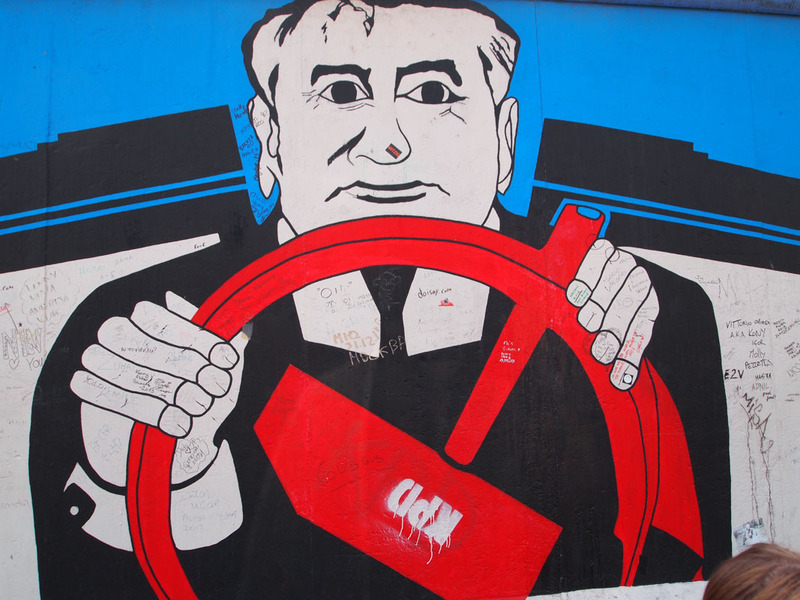 For many, the Berlin wall was a symbol of the cold war and its’ fall marked the end of decades of tension and the real possibility of a nuclear strike. 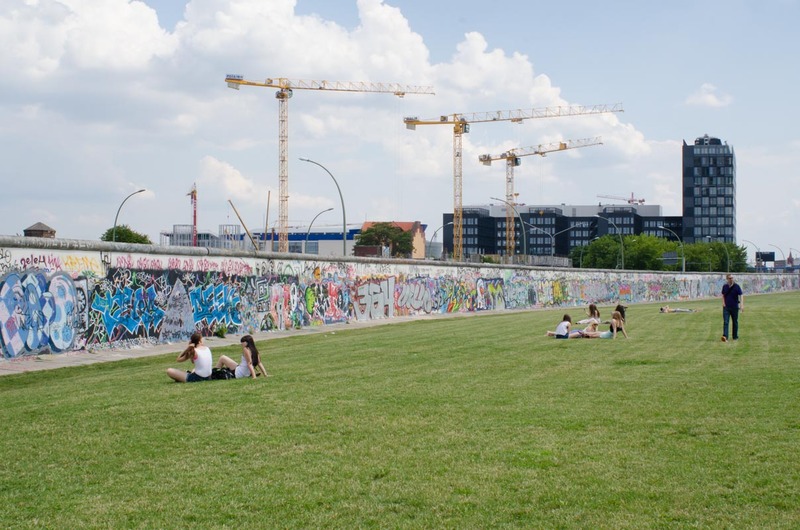 Most of the Berlin Wall was torn down following the fall, but a 1.3 kilometer section still remains today. 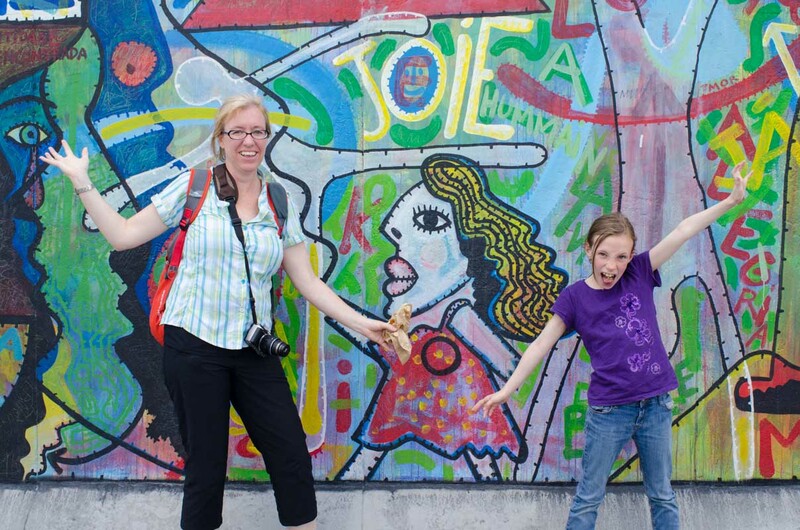 This section is now called the East Side Gallery and is an international memorial for freedom. The gallery consists of 105 paintings done by artists from all over the world. The paintings were originally painted in 1990 and have been restored as needed. 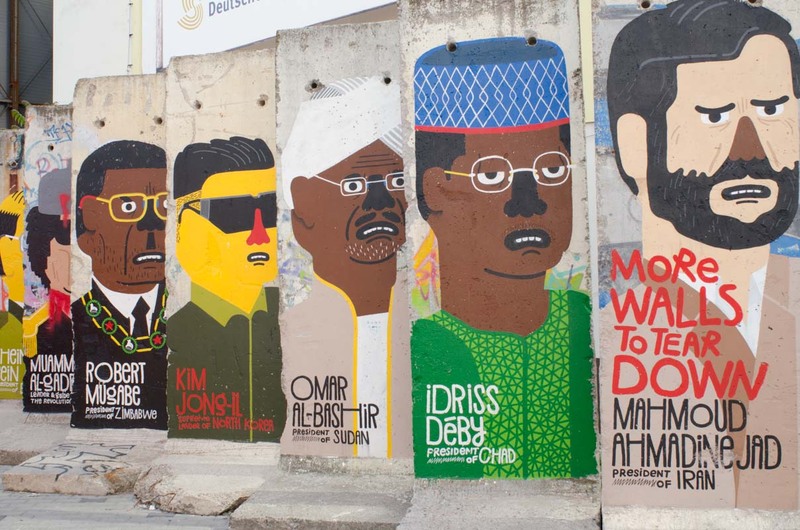 A walk along this remaining section of wall and viewing the politically charged paintings is unlike any other art gallery you will ever visit. 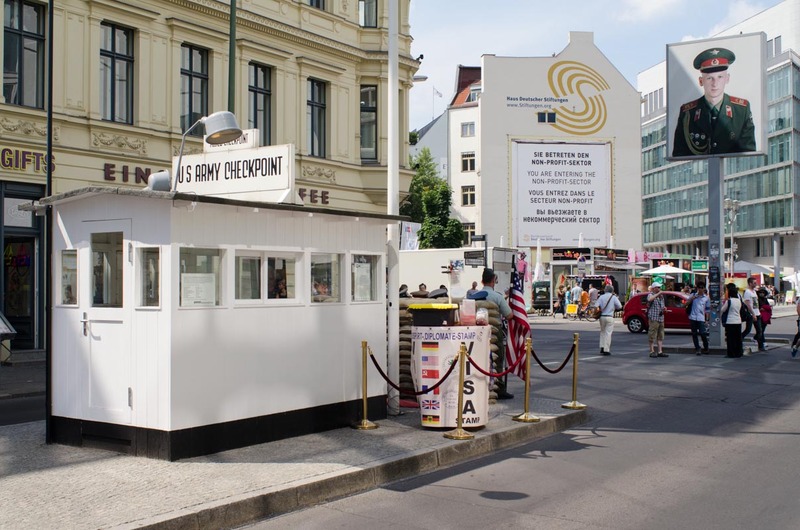 Checkpoint Charlie, or Checkpoint C, is the name of the most infamous crossing point between East Berlin and West Berlin during the Cold War. The name Charlie came from the letter C in the NATO phonetic alphabet. 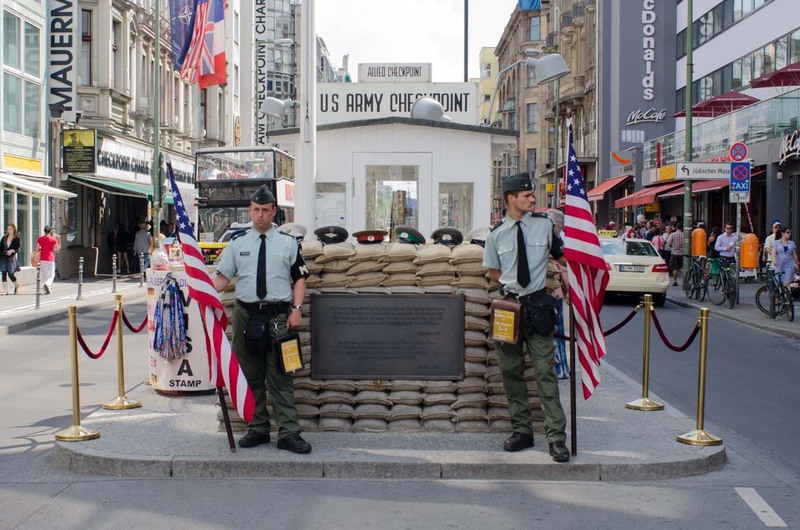 Today it is a tourist attraction with a museum where you can learn about the history of Checkpoint Charlie. 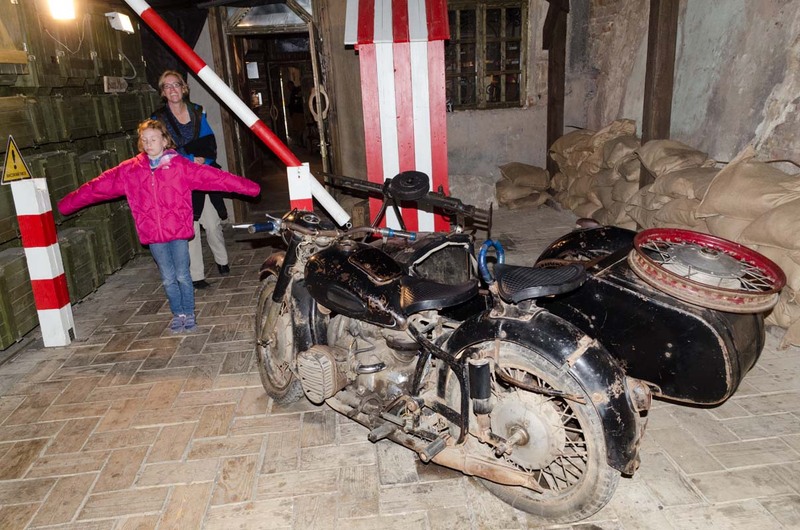 The museum also contains information and photos from the many successful escape attempts from East to West Berlin. Near Checkpoint Charlie you can find many currywurst stands offering a popular street food that was invented in Berlin in 1949. 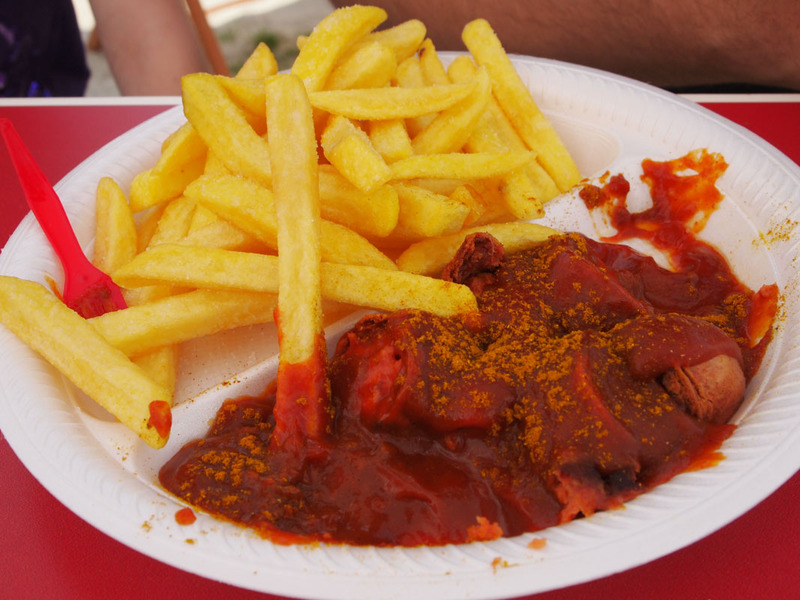 Currywurst consists of sliced sausages smothered in a curry ketchup sauce and is now one the best foods I have tried in our world travels. Seriously! Having now been to Berlin I can honestly say that it is now one of my favorite places in Europe. It has been a lifelong dream of mine to see the Berlin Wall and Checkpoint Charlie in person, and it did not disappoint. Our short stay there was not long enough and I would love to return someday and spend more time there.